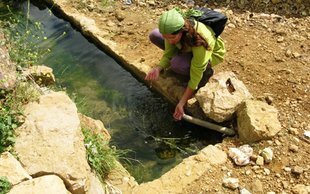 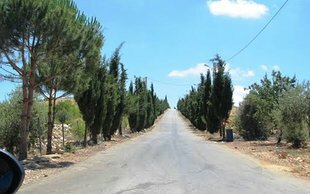 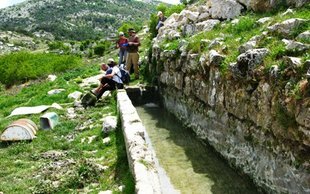 The trail in this section starts in Kfar Bebnine and ends in Beqaa Safrine (بقاع صفرين ), with the added possibility of a visit to the historic town of Sir ed Danniyé. 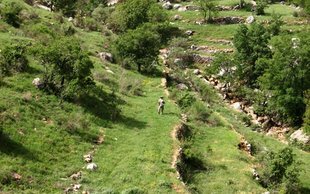 The trail is about evenly divided between irrigation canals, unpaved agricultural roads, footpaths and paved roads. 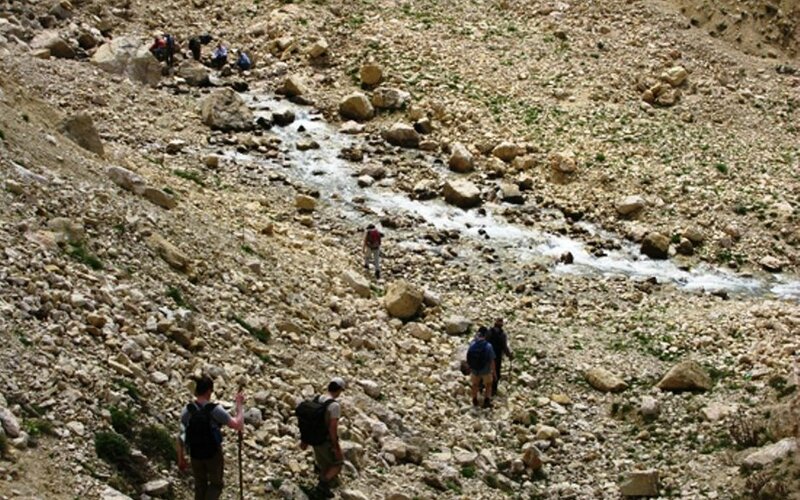 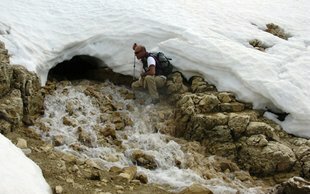 Some parts of this section are difficult to reach in winter due to snow. 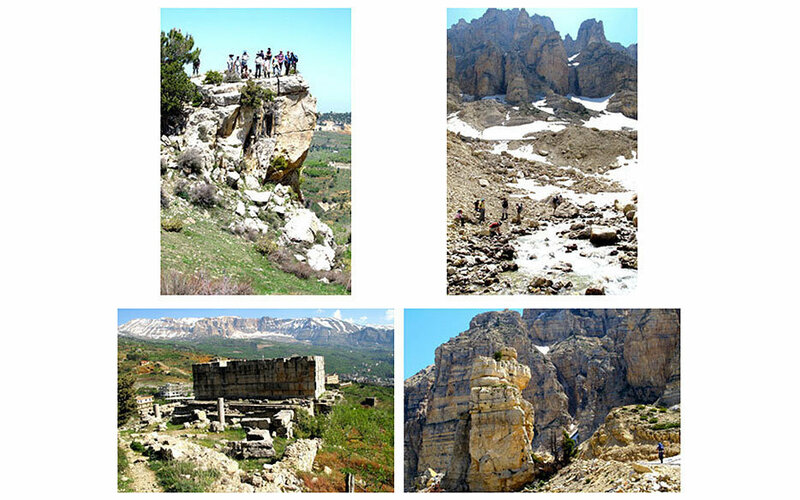 Highlights include orchards, a high-altitude spring, unique rock formations and scattered juniper forests.